Resume Writing. Resume Writing Services: FAQ. How do I place an order for your services? In order to place an order, click on the icon “Order NOW” in the upper menu. A friendly interface will guide you through the ordering system to make the process easy and fast. You are only a few clicks away from a professionally written resume! What if I am not pleased with the resume I receive? We provide unlimited amendments in case if you are not satisfied with the quality of your resume. So there is nothing to worry about! We will write, re-write, and edit your resume until it PERFECTLY satisfies you! It happens not that often, but if it does, we are pursuing the writers to do the best they can to satisfy you. We are experts in resume writing and we will prove this to you! How can the quality of your work be trusted? The quality of our work is proved by the satisfied customers, who are writing to us constantly to give their appreciation of what we do. You are able to see their testimonial that we proudly display on our site. Our writers are professionals with corresponding education and years of experience in resume writing. The better they do, the more money they get, so they are directly interested in your satisfaction with their work. Why should I use resume writers and especially your service? Because you might be a professional in business or banking, but no matter how often you write resumes you won’t get any better than people that do it for living. Our service is famous for its writers and for their experience, therefore the most rational choice for you to make is to pick us! How do I pay for your service? What methods of payment do you accept? We are accepting all major credit cards, PayPal, Wire Transfer, E-Gold and also payment with checks is available. The payment is absolutely confidential and is made through a secure line. We are cooperating with major billing companies famous for their strongly positive reputation, so there is no reason to be afraid of any kind of fraud. What if I have questions about the progress of my order or any others? 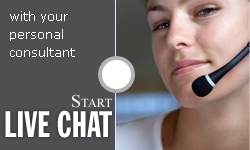 You are able to contact us via live chat, where our pleasant and qualified consultants will answer all of your questions and will try to be as helpful as it’s possible. Throughout the whole writing process, you will also have a direct contact with your personal resume writer – you are welcome to enjoy direct messaging system on our site. What if I will need my resume updated in the future? Your completed order is saved on our server and if you need it to be updated, then just visit our site and contact our support. Your resume will be updated and corrective actions will be taken for it to correspond to the needs of time. You will definitely not regret it. What if I did the resume by myself and just want it corrected or edited? No problem. Your resume will be edited or corrected by our staff writers according to your specifications and job applied. They are qualified enough to satisfy your needs. And who knows, maybe their edit will be that good, that you would want us to just write you resume from scratch. Our service is considered to be one of the most efficient and quickest online. Resume writing or any other service provided by our company may be finish on a very short notice (72 to 24 hour turnaround). None of our competitors is able to boost with a quality written resume within such a short time period.